While the country is gearing up for the elections, the team of ‘Further and Beyond’ are working towards raising funds for ‘The Batti Project’ to light up schools and households located in rural and nearly inaccessible areas of Arunachal. Intrigued by the project and the people involved in lighting up the Northeast, particularly Arunachal, we took a peek into The Batti Project. Nearly eight years ago, co-founders of ‘Further and Beyond,’ Merwyn Coutinho and Rajiv Rathod stumbled upon the opportunity to provide solar lights to the villagers of Gandhigram in Changlang district during a visit in 2011. During their stay there, they noted that when night fell, people in the village would borrow their torches and other lighting equipment. When the duo from Bengaluru returned to Gandhigram for Christmas the following year, they took over 200 solar-powered lights for installation as gifts. This goodwill gesture in return for a little warmth and hospitality breathed life into The Batti Project, which has lit up 434 houses in Arunachal till date. “The people there had never experienced electricity. We had to teach them to use the switchboards. The experience was overwhelming,” says Coutinho as he recalls how the extraordinary journey began. This also led to a little curiosity in people living close by, and some came out to enquire. “When are we getting our connections? Someone had asked back then,” Coutinho says, a little amused. Soon after, in 2012, The Batti Project officially took off when seven houses in Lower Dibang Valley’s Dopuwa village were lit up for the first time with solar panel kits. “More people kept coming. It wasn’t our job to provide electricity to them, but as I said earlier, the response was overwhelming and it motivated us to keep going,” Coutinho said. As years progressed, they came up with ways to fund the project. While crowd sourcing and corporate social responsibility schemes of corporate establishments were one of their prime sources, they began the e-waste collection campaign in Bengaluru to raise funds for the project. In 2016, they also came up with the ‘Ride to Light’ project here and involved Tine Mena, Northeast’s first woman to scale the Mount Everest. The riding community sponsors its travel costs and contributes to the villages that require electricity. The riders also have to be in good physical health to negate through the tough terrains of the Himalayas. By 2018, ‘Further and Beyond’ had electrified hundreds of houses in Lower Dibang valley and at least a 100 households in East Kameng’s Lada circle. 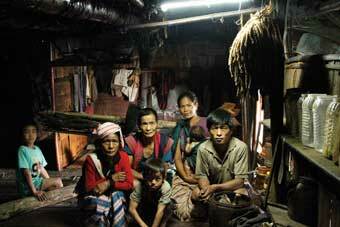 They had also set a goal of electrifying 1500 homes in East Kameng. However, in the same year, the government had announced that India was officially ‘100 percent electrified,’ and apart from the tough terrains, arranging funds became another obstacle to overcome. It is important to note that a village is said to be electrified if at least 10 percent of the households in it have power connections and if electricity is provided in public places. Government data goes to show that there are still 31 million households without electricity. The team of ‘Further and Beyond’ did visit several Power offices, including the APEDA, to enquire on the electricity, and the lack thereof, in remote areas of Arunachal. “While everything was on paper, the officials were simply not inspired enough to move ahead with the task at hand,” says Coutinho. Clear about their objective, he says their project did not wish to create a conflict with government-sponsored schemes. “We decided we didn’t want to fight for it. Why not put our energy into providing electricity instead of fighting for it endlessly?” he says. They had to change their format and decided on electrifying schools and other institutions, and in turn electrify houses nearby. This year, the team of ‘Further and Beyond’ and the TUM are taking out a pilot project and seek to light up the 50-student government primary residential school of Jumupani village in Lower Dibang Valley district in April. 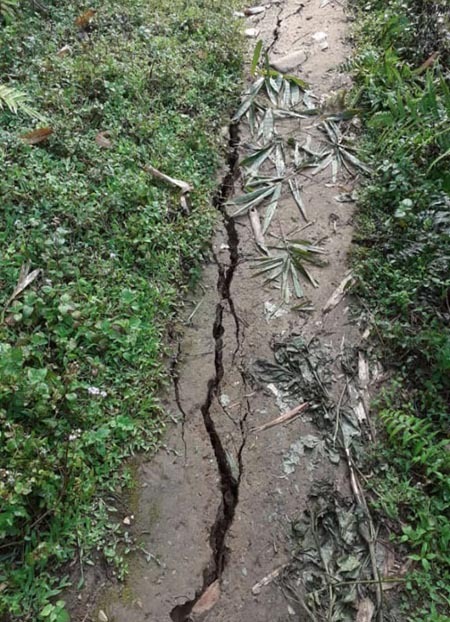 This is the same school-students of which were victims- when the suspension bridge they were crossing, collapsed in 2017. Additionally, 12 houses will be electrified along with the school. The two teams will not only electrify the village with sustainable energy sources, but also teach the village community to generate electricity from the source for self-sustainability. Apart from solar panels, the teams will also use a stream located close to the school to use hydel energy. “It will be a mini hydel and will not generate much power but will be enough to light up houses. The village community will also be taught how to maintain them, so that they don’t have to rely on us or the government if something goes wrong with the equipment” Coutinho informs. The installation of a solar panel kit costs a little over Rs 10,000, and there are also logistic expenses that need to be taken into account. The Batti Project has impacted 1600 lives with two men from far down South taking an initiative to light up homes in Arunachal, and the journey will continue only if we step up to the plate and support their programme. You can reach out to The Batti Project on www.batti.in and make a donation. To get a glimpse of their work, you can also check their Facebook, Twitter and Instagram handles. To rephrase Coutinho: We can debate all day on why the government is not doing its bit, or we can make a significant impact on the lives of the tribals living in the state and the Northeast by donating to the cause.